Cancer neck pain can occur from tumors in the throat, brain, face, ear, superficial neck anatomy or spine. Cervical spinal pain might also result from various cancer treatments. Cancer is always a serious topic of discussion and has wide ranging implications to general health. Although not a major cause of neck pain, we do receive numerous letters each month from readers inquiring about cancer’s possible role in their current neck pain problems. We have written much on the sites of The Cure Back Pain Network about spinal cancer, cancer back pain and the effects of spinal tumors. This essay goes one step farther, focusing on cancer’s role in the development of neck pain symptoms. If you or a loved one has been affected by cancer in the upper spinal anatomy, head or face, this article provides helpful information that might assist you in finding relief from your suffering. At the very least, it should provide peace of mind by understanding why cancer can create the types of pain it does. The neck is a major neurological center that is involved in innervation of many anatomical locations, including the arms and parts of the head and face. The muscles of the neck also work with those of the upper back, shoulders, arms, head and face and therefore are interdependent in function. It is for this reason that cancer virtually anywhere in the head or neck can impact the neck, creating pain and other possible expressions. Various types of cancers can inhabit the throat and frontal neck, including the larynx, the esophagus, the thyroid gland, the rear of the tongue and even the collarbones. All of these conditions can cause frontal neck pain that might even penetrate deeply enough to feel like dorsal neck pain in select instances. Tumors can exist superficially in the skin or soft issues of the neck and might therefore cause pain locally where they occur. Tumors might also exist in the cervical spine, potentially causing a wide range of problems through various mechanisms. Tumor might form in the ear or face, potentially affecting nerves that travel through the upper neck anatomy. Pain might be expressed locally or deeply inside the head and neck, depending on case-specific factors of each neoplastic process. Brain tumors might also affect the central neurological structures of the spine, including the spinal cord or nerves. Brain tumors can cause pain in many areas of the body, including the neck anatomy. Spinal tumors can cause vertebrae to fracture, possibly affecting the central nervous system components or creating mechanical breakdown in vertebral column functionality. Tumors can cause neurological compression inside or outside of the spine. Cancer can therefore enact cervical pinched nerve symptoms and might also be responsible for causing central spinal stenosis in select patient profiles. Tumors themselves can cause mechanical pain when they interfere with normal spinal or muscular range of motion. This can be very painful in areas that are rich in neurological tissues, such as the neck and head. Some spinal tumors can cause the spine to be unstable, creating disability and instigating dramatic symptomatic expressions until resolved. Tumors can cause circulatory issues that might enact structural ischemia and possibly necrosis of spinal tissues. Circulatory vessels can be compressed structurally or damaged by the disease itself. Cancer can enact inflammation in the region and this process can be painful in a large area of the body. 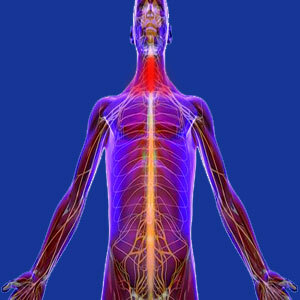 When inflammation exists in the spine or spinal nerve tissues, symptoms can be excruciating and very wide-ranging. Cancer treatments can be brutal on the body and have many negative collateral effects on general health and wellness. 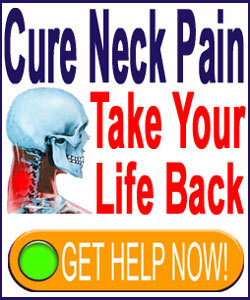 Many therapies are also direct causes of neck pain. Cancer treatments that target neoplasm in the throat, neck, head, face or spine all have the potential to create terrible pain in the cervical spinal region. This pain can take many forms and might be expressed in many ways, from patient to patient. Radiation is known to create anatomical damage in the body. Pain is a natural result of many types of radiation, particularly those varieties which are not highly focused to only affect the cancerous growth. Chemotherapy uses extremely powerful and toxic drugs that usually have horrific systemic effects. Some drugs might also cause pain is particular bodily areas or throughout the body. The dorsal anatomy is a very common location to be affected by chemotherapy-related pain syndromes. Surgery is very damaging and is a common cancer treatment. Surgery can produce pain in the operated location, as well as regionally. Surgery might enact nerve damage that can spread pain to far reaches of the anatomy, especially when the spinal cord, nerve roots or large peripheral nerves are affected. Surgery can also result in infection, which is rather common in patients whose immune system has been greatly compromised by cancer and various toxic treatments. Neck infection can be a dire health issue unto itself and might endure for a long time, despite active care.